There is no denying the epic reveal made by the Injustice 2 team concerning a certain group of turtles turned the game on its head, but NetherRealm Creative Director reveals that they almost went in a completely different direction. Or more like, a more familiar direction. However.... fun fact... at one point we considered making a “Fighter Pack 0” which would consist of returning fighters from Injustice1 like Ares, DoomsDay, Batgirl and Capt- uh...Shazam! Fan reaction was immediate saying what other picks they would have liked to see. Raven, Martian Manhunter, Hawkgirl, and Ares were the biggest picks. The fan dream was alive and well in the response thread to Boon's initial Tweet. 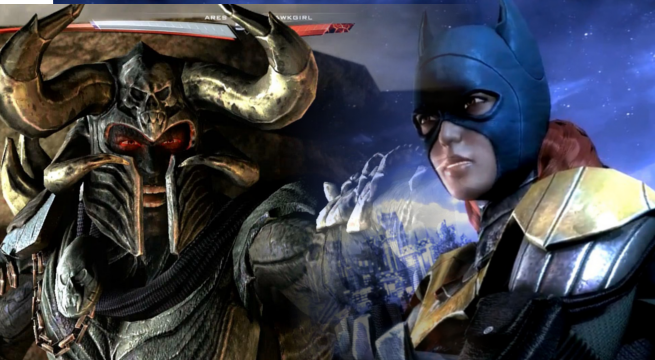 One fan even had a really smart idea of perhaps NetherRealm including a "Fan Pack" for fighters where the latest pack to arrive includes fan-voted favourites. The rest of the comments were just sad, and we totally feel you. Somebody needs to talk to Boon about his definition of "Fun Fact." Personally, it would be amazing to have Ares back in the fight but the roster thus far for Injustice 2 isn't anything to scoff at either. The inclusion of the Teenage Mutant Ninja Turtles was the curveball of the century, but for those that remember that Batman fought alongside said turtles in a comic miniseries from back in 2015 were pretty stoked to see the reach between the two franchises. For now, fighter fans will have to get their jollies from the latest announcement concerning the addition of The Enchantress, Atom, and the Turtles themselves! Injustice 2 is now available for Xbox One, PlayStation 4, and PC.